For over a year and a half, I’ve been lucky to be part of a global community called “Friday Phrases” (#FP) where we post tweet sized stories, snippets, poems and the like. I stayed in the shadows, being more of a “responder” than a “poster.” My first participation tweet was February, 2014. I burst from the water, lungs painfully filling with air. At that moment, moving for the shore, I knew I would live and he would pay. This was no anger tweet. I don’t even know where it came from. I just saw it happening, checked my word count, and hit “tweet.” The earth didn’t shatter. No one replied…get off, this is for writers. So I challenged myself to post at least one tweet each Friday. I noticed that keeping my words under 140 characters helped my wordsmithing skills. I kept coming back. Funny how my first #FP tweet had to do with water and swimming, because a couple of months later the oddest question popped into my mind. 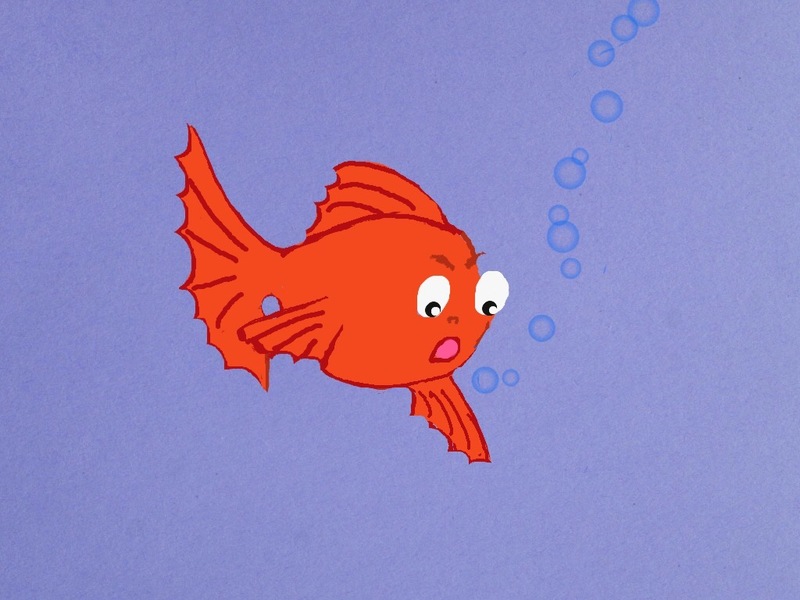 What if I were a goldfish? Of course I knew about “fish out of water” themes in movies and books. But, what about a real fish? What would that be like? What would I have to say? I eye my new roommate. So it had come to this. Plastic plants, fake wood, and what looks like a broken lava lamp. It made me chuckle, sitting there with phone in hand. Then it turned into a game I played, to use the weekly theme in the ongoing life of this little goldfish. Goldfish diary tweets will be posted, about two or so per week until we are caught up to present. I will add the week’s theme at the bottom, since it is a part of the pleasure of the game. For those of you who wonder what will happen next, I have no idea. The weekly theme is the muse that directs the path. For those who are new to the diaries, I hope you enjoy this little gal as much as I do. Thank you so much! I’m looking forward to my own walk “swim” down memory lane. Me! That’s me. I’m one of the “For those of you who asked for a collection” people. 🙂 So cool to see how this party got started. To YOU! Thank you for inspiring me to do this. I would have never started this blog if it were not for supportive people like you. Thank you. The drawing part has been a challenge…but I’m learning. It’s really good 🙂 Keep sharing!